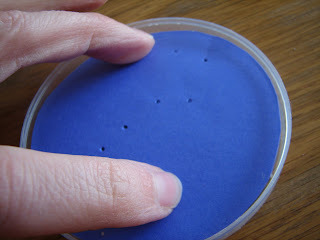 These constellation viewers are pretty simple to make, once you've gathered your supplies. 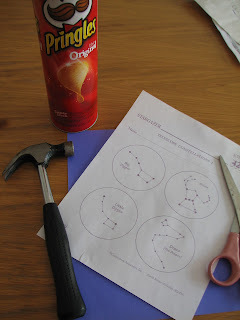 You'll need a Pringles can for each viewer you want to make (ideally, one for each student). 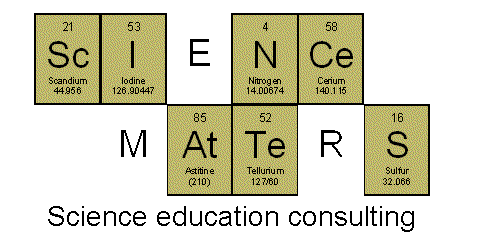 I haven't found any good substitutions for this, but let me know if you do. Put the word out early that you're collecting the cans, and you'll probably make out just fine. Use a large nail to punch a hole in the bottom of the can. 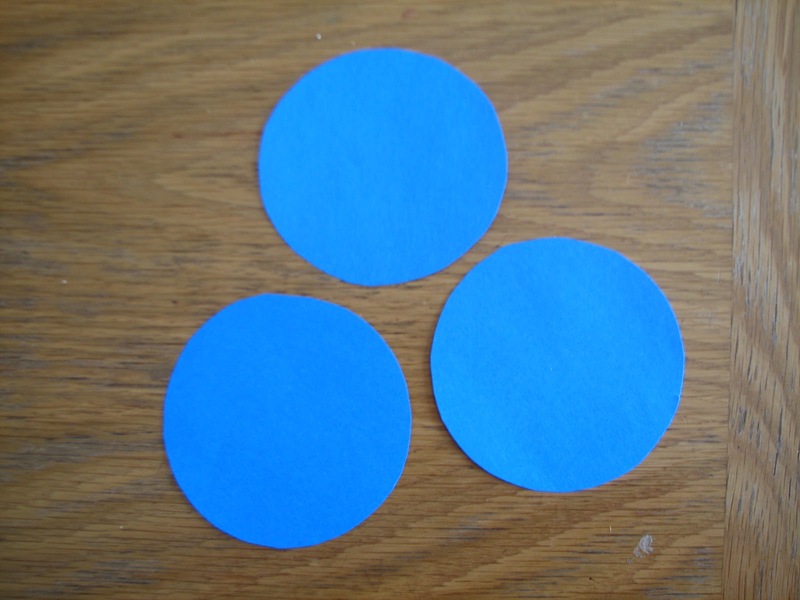 Cut out circles of black paper (and if you don't have any black paper, use another dark color, like blue). The circles should be the size of the can. 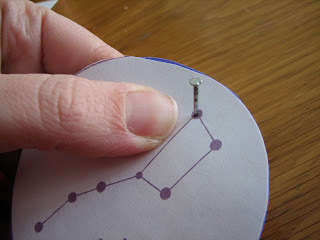 Place a diagram of the constellation you want on top of one of the circles and use a nail to poke a hole at each star. 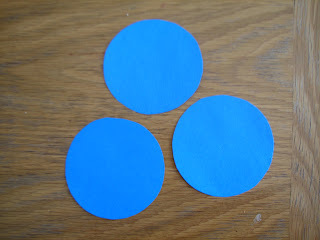 Some nice diagrams (the same size as the circles you're using) are found here. 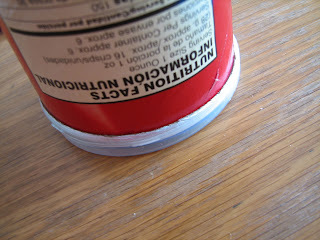 After all the star holes have been poked, place the paper in the can lid. Then place the lid on the can (or the can on the lid, which may be easier, as pictured below), sandwiching the paper inside. 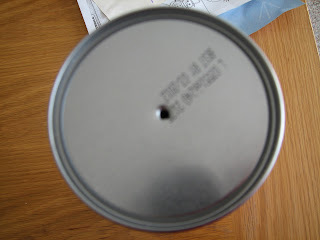 Hold the can up to the light and look through the hole in the bottom of the can to view your constellation. 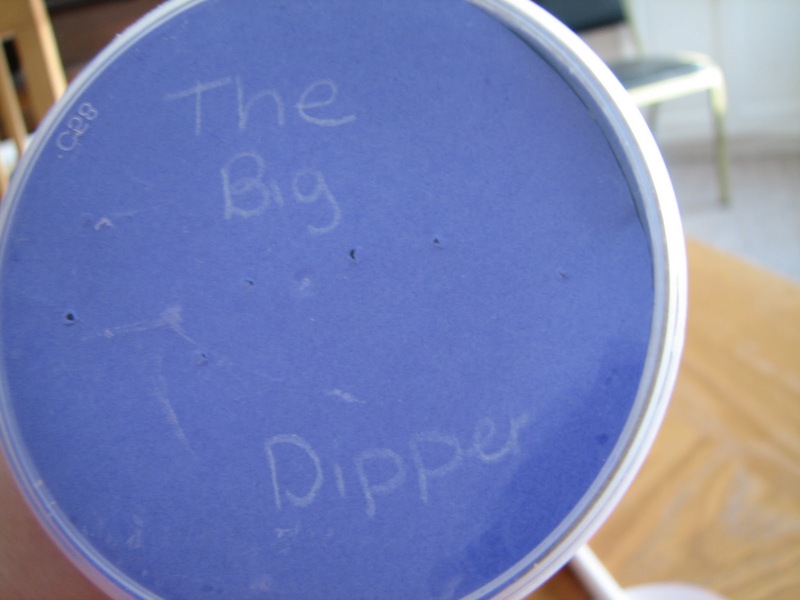 (Wish I could get a picture of what it looks like, but you'll just have to make one yourself). Also, unless you're well-versed in constellations, you may want to draw in the lines of the constellation to help you identify what you're looking at.